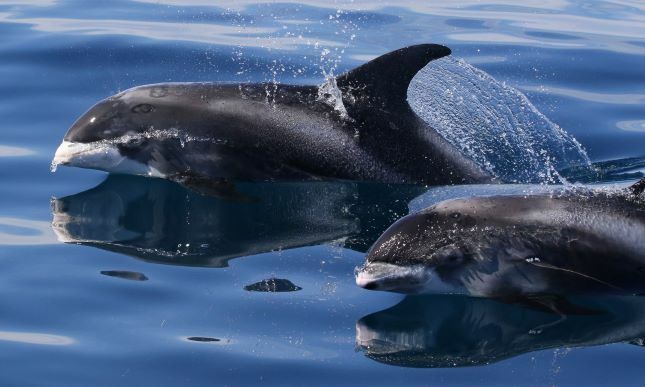 For trained MARINElife researchers, with the help of local communities to operate 12 systematic small boat surveys in a programme to monitor threatened White-beaked Dolphin in Lyme Bay and Falmouth Bay. New surveys are urgently needed to determine this dolphin’s status in the region. This is an exciting and ambitious citizen science project in response to local conservation and monitoring needs being unmet by the Marine Conservation Zone decision-making process. To date the Government has rejected multiple proposals for the Lyme Bay area to be protected for this threatened population. This important project aims to help us and other conservation partners carry out an up to date assessment of this population and understand much more about how we can help protect and conserve this species in the south west. The White-beaked dolphin is a beautiful, robust dolphin and just over 3m in length, with a large dorsal fin and white patterning on the body. They tend to stick to relatively shallow waters around 50m in depth, and are a cold water species. The North Sea is traditionally thought to be the White-beaked Dolphin stronghold around the UK. However, we now know that previous understanding of this species distribution is out of date and MARINElife have been recording and monitoring a population of this species in the English Channel, particularly Lyme Bay since 2007. Being a cold water species, this population in Lyme Bay is the most southern population in Europe, and even possibly the world! Hence this is a population we pay special attention too, and we have a photo-identification catalogue for. 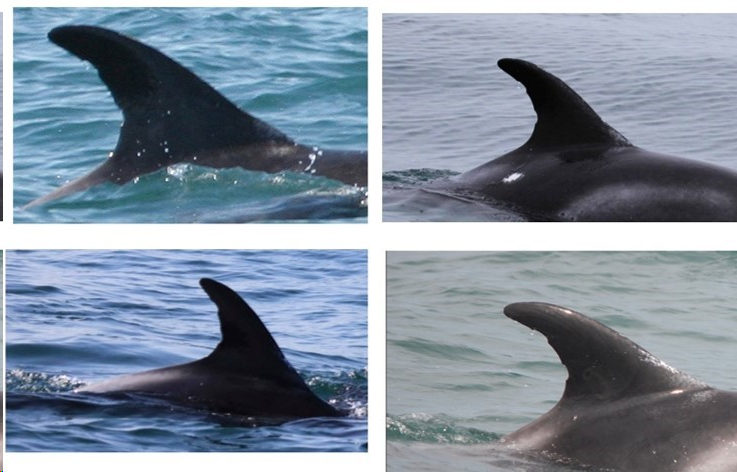 Since 2007, we have recorded over 300 animals and have a catalogue of over 60 identifiable individuals, we can recognise by the unique shape of their dorsal fin that breaks the surface of the water, as well as marks on their bodies. From our studies of the South West population we know that there are approximately 200 animals present in this population. This makes up 1% of the whole European estimated population size, and so making this group an important conservation feature. We have recorded a great deal of site fidelity, with the same individuals being recorded multiple times in the same area over long periods. Not only have we recorded adults, but also calves in Lyme Bay, indicating that this sheltered Bay is also important as a breeding and calving area, while the animals are more vulnerable and raising their young. It is also an important feeding area. These dolphins are threatened by over fishing, pollution and disturbance from recreation to name just a few, highlighting the need for conservation measures. Given that the population of White-Beaked Dolphins is important and vulnerable, we’ve been campaigning, alongside the Wildlife Trusts for it to be designated as a conservation zone, as part of the Governments current plans to create a network of marine nature reserves. Unfortunately, to date the Government has rejected this proposal, over fears the population may have moved west. This is based on very little evidence and disregarding the fact that the dolphins have been seen every year in Lyme Bay since 2007! In truth, few recent surveys have been made due to a lack of funding. Build on understanding of population structure and feeding, calving and nursery areas. Build on evidence to establish this population as a key conservation feature, requiring protection. Establish a robust baseline to enable development of a risk-based monitoring strategy to help identify changes in status and help inform conservation actions. What the funds will be used for? Did you know? Just one survey off the Jurassic coast to study this population costs MARINElife approximately £1,200 to cover boat charter, survey coordination, insurance and survey packs. We try and photograph as many animals as possible on each survey and this has shown there is a great deal of site fidelity, with the same individuals being recorded multiple times in the same area over long periods. This individual has been photographed on multiple occasions over a 6 year period, with most of the sightings within 20km of each other. We have also learnt that she uses Lyme Bay to give birth and raise her calves. We desperately need our funding primarily to pay for the boat charter and surveys themselves so we can learn more about these threatened animals. Funding is also required for data analyses, validation and reporting. With this funding, MARINElife would also like to update and publish the south west white-beaked dolphin catalogue, online for all to be able to access and keep updated on sightings of this local population. We need your help to ensure this research continues. MARINElife is a long established charity which works to 'Conserve marine wildlife through research and education'. We undertake innovative research, monitoring, advocacy and educational activities to improve the conservation status and awareness of marine species in UK and European waters. We carry out research on threatened marine mega-vertebrate species that are governmental priorities for conservation action, to help maintain and restore favourable status and to underpin conservation efforts.